Companies drilling oil and gas wells in Alaska will now have to dig deep enough to avoid problems stemming from thawing permafrost. Alaska’s Oil and Gas Conservation Commission announced a regulation change on June 19 that requires companies to set surface casings for wells below the base of the permafrost. The surface casing is basically a pipe that protects the well from outside contaminants and keeps the sides of the well from caving in. The change in regulation comes after a BP well failed last year, and leaked oil and gas on the North Slope. The company blamed the spill on a piece of the casing that buckled after thawing permafrost put uneven pressure on it. 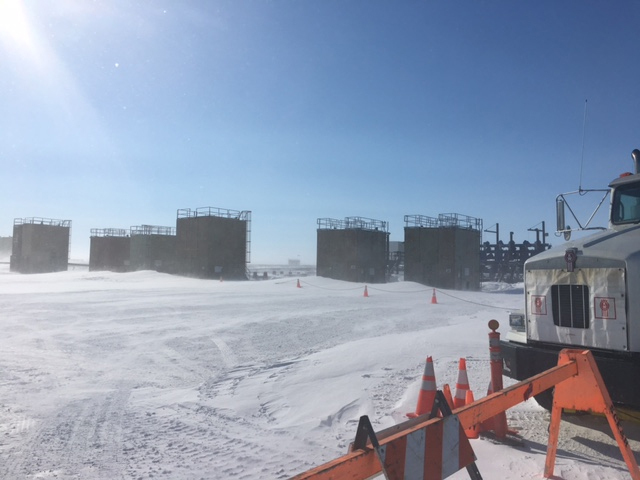 After that leak, and the revelation that the company had five other wells with similar designs in operation — state regulators called for a review of thousands of wells on the North Slope. Companies finished that review in January; they didn’t find any well designs that could lead to a similar accident. Cathy Foerster sits on the conservation commission. She said BP has already shut-in the wells that have the flawed design. So, she doesn’t think companies operating in Alaska will have to spend any money to comply with the new regulations. The new regulation will go into effect on July 18.